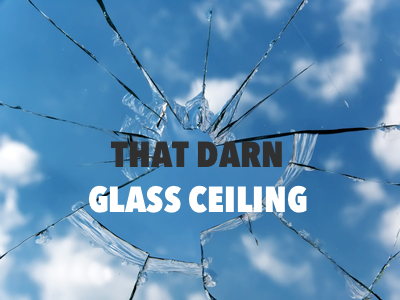 There is ongoing argument about the ‘glass ceiling’…is it real or not, is it bulletproof glass, is it tinted glass? I don’t think of it as a glass ceiling, but an inverted funnel. And it really boils down to a basic math problem. The higher you move up the ladder, the fewer roles there are available. Though there is usually one CEO, but I posit that the business world would profit enormously from a duo male/female CEO combination. Think of the possibilities! Succession for the top-level roles is heavily influenced by human nature. We (the human species) tend to favor people who look, think and act like us thereby affirming our greatness. When you have a good thing going, the powers that be are going to favor successors who they perceive to have the ability to keep the winning streak going. Stay the course, if you will, with talent that closely resembles the current leadership. If you find yourself in a situation where you believe you are not headed in the direction of achieving your career aspirations, here are some steps to think about taking. Step 1 – Engage in some thorough, thoughtful, honest self-assessment and 360 feedback to figure out what you want out of the life adventure on which you have embarked. Step 2 – Assess the possibilities for salvaging your current career investment. If salvageable, make it clear (through words and actions) that you desire to hold a top role in the company. Don’t waste precious time waiting for others to figure out what you are good at. Seek help from those who believe in you to chart a course…then GET TO WORK. Learn the business better than anyone else, develop an external presence in your profession, and be visible in your contributions. If the salvage potential is not there, summon up your courage and CHANGE. Warning: This is not an easy option. It requires re-tooling for new skills, re-building your knowledge base, and most importantly re-building your network. Step 3 – Enjoy the new energy you have discovered by getting your life balanced, your course set and your aspirations aligned with your daily efforts. What are your experiences with hitting that ceiling? Hang in there! This was spot-on. Thanks Libby and thanks Katie! The Glass Ceiling is not only driven by gender bias but also by age bias. Past a certain point and the opportunities for promotion get less and less. I agree. Sadly I see this John. Hang in there. You have plenty to bring. Just need to find the right place and right opportunity.